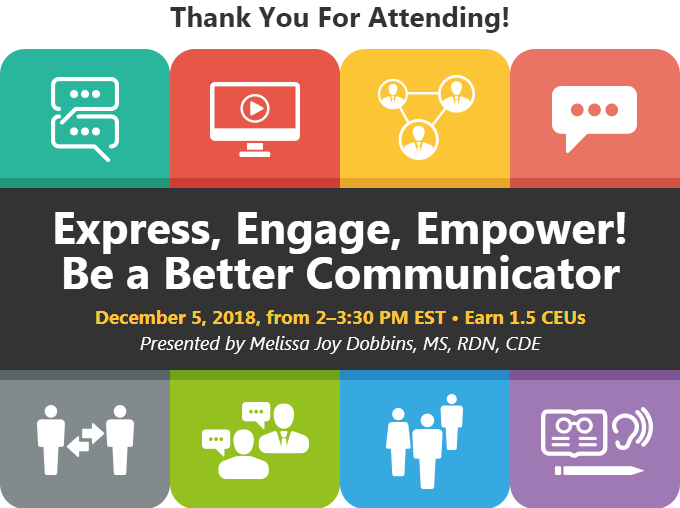 This joint Becky Dorner & Associates and Today's Dietitian webinar was presented on Wednesday, December 5, 2018, from 2-3:30 pm ET, by Melissa Joy Dobbins, MS, RDN, CDE. Melissa Joy Dobbins, MS, RDN, CDE has no relevant disclosures to report regarding this program. She has certified that no conflict of interest exists for this program. View our disclosure policy.